Russia needs a bigger role in the United Nations' governing bodies, Foreign Ministry spokesman Mikhail Kamynin said on Friday. He announced that the issue will be discussed with UN Secretary General Ban Ki-moon during his visit to Moscow on April 9-11. “The growing and strengthening role of Russia in international affairs, which is not denied even by the most obvious skeptics, must be reflected by its larger representation in the divisions of the UN Secretariat, including its administration. We plan to discuss the issue in detail with the Secretary General,” Kamynin said. 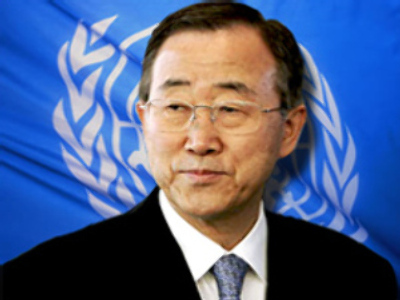 Reforms of the UN, and in particular of its Security Council, are expected to be on the agenda as well as a range of international issues, including the situations in the Balkans, Afghanistan and Iraq, as well as the Middle East peace process and conflict situations in the African continent.